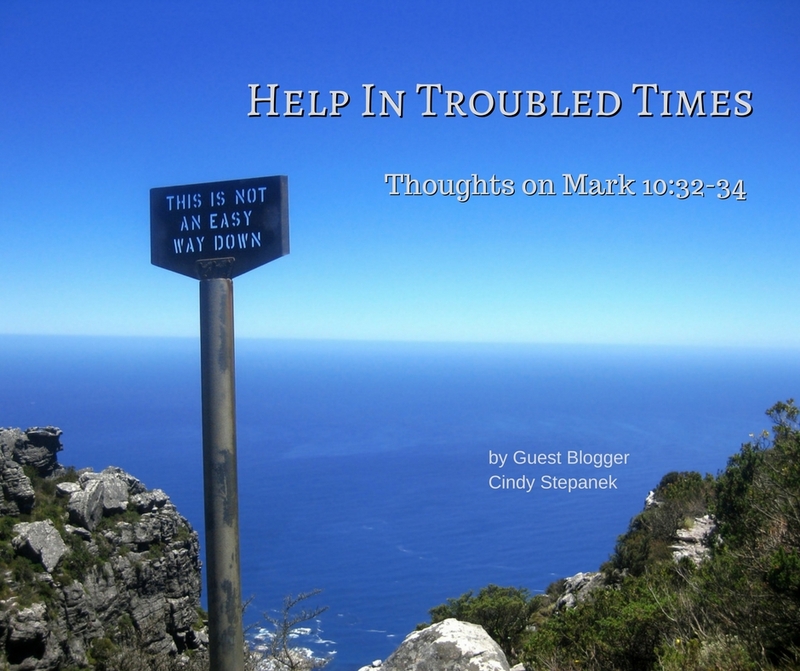 In verse 32 Mark says that the disciples were headed to Jerusalem and “Jesus was leading the way”. Jesus knew He was going to Jerusalem and that he was going to be tortured, humiliated, and crucified. He also knew that in order to get to the resurrection He had to go through those things. The disciples didn’t understand what was ahead of them. I find it important to write about this story because Jesus knew the disciples would struggle with his death. He knew they didn’t understand what it meant for him to be raised from the dead. In this story, Jesus shows me 5 ways He was with the disciples and will be with them in the rough times ahead. 1. Jesus has spent the last 3 years preparing them for this moment. 2. Jesus leads the disciples into the battle. He doesn’t lag behind, grumbling because he has to do this for them. He doesn’t tell them go ahead, I will meet up with you. He leads them. 3. Jesus verbally prepares them for the third time about what is to come. 4. Once Jesus is arrested, I am pretty sure the disciples will feel as if they have lost everything. They will feel alone and helpless. Although they cannot see what Jesus is doing, He will be fighting the battle for them. 5. In the end, Jesus conquers death and wins the battle for us. There are many times in my life when Jesus tries to prepare me for what is to come. I don’t know if I ignore Him or just don’t understand. Maybe I do both. Just as He led the disciples, He leads me into the troubled waters. Fighting the battle for me, He navigates the way through the darkness and brings me to the other side.